Today is Ada Lovelace Day, an initiative that honors the contributions of Ada Lovelace, the first computer programmer, and encourages women to participate in STEM fields. Wiki Ed’s Wikipedia Year of Science initiative’s goal is to improve coverage of science topics, especially women scientists. To connect these two initiatives this year, Wiki Ed is supporting a project with the Association for Women in Science (AWIS). AWIS is encouraging its members and chapters to organize Wikipedia edit-a-thons to write women back into science history. 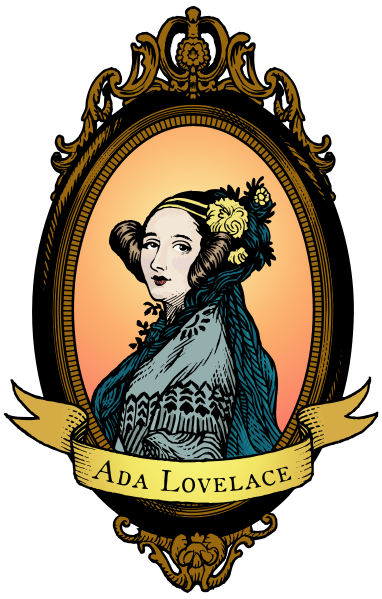 AWIS chapters will convene in their communities during the month of October to honor Ada Lovelace, who is highly regarded in both the scientific and feminist communities. Wikipedia’s gender gap—in which at least 80% of the online encyclopedia’s contributors are men—is well-covered in the press. The resulting systemic bias and content gender gap is problematic for reasons evidenced here, here, here, and here. Wikipedia’s gender disparity is reflected in the available content, and only 16.48% of biographies are of women. The frequent press coverage can be daunting for those of us working to curb the content gender gap. On the other hand, the publicity increases the problem’s visibility, which inspires groups to pitch in and help in any way they can. Take Jon Cawthorne, Dean of Libraries at West Virginia University. In 2014, Cawthorne saw an inspirational video about the late Adrianne Wadewitz and her advocacy for women on Wikipedia. The next year, Cawthorne hosted a panel of Wikipedians, including me and Wiki Ed Executive Director Frank Schulenburg, to share insights about the content gender gap and how people can help. Dean Cawthorne’s passion for helping with Wikipedia’s gender disparity led West Virginia University to hire Kelly Doyle as a Wikipedian in Residence for Gender Equity. I’m thrilled to support the initiative as a part of the Year of Science. We at Wiki Ed think women belong on Wikipedia, and we’re excited to begin this collaboration. Wiki Ed sees supporting these women in science edit-a-thons as part of the Year of Science as a great opportunity to identify faculty members who share our goal of increasing Wikipedia’s coverage of women scientists, and who might want to participate in our Classroom Program. You can see the impact of them grow by viewing the AWIS cohorton our Dashboard software. by Daria Cybulska, CC BY-SA 3.0.